Summary: The Railway Children has regularly and deservedly appeared in top 100 list. 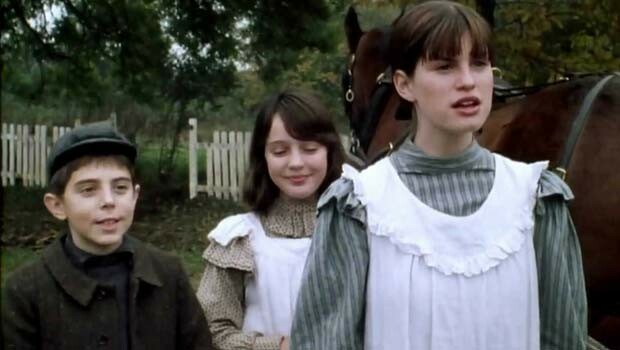 The Railway Children is one of my all-time favourite films, so this review will be biased! Those of you coming to the film for the first time are in for a treat; those familiar with it will enjoy its sparkling restoration. Roberta (Agutter), Peter (Warren) and Phyllis (Thomsett) Waterbury are very happy, typical middle-class Edwardian children, living a typical middle-class Edwardian life until the day their world is turned upside down; their father (Cuthbertson) is arrested and taken away; Mother (Sheridan) is too busy to look after them; their strict Aunt Emma (Beatrix Mackey is drafted in to babysit, and the servants start making mysterious, unpleasant remarks. Mother announces that they are moving to the country, where they will have to ‘play at being poor’. Being children, and naturally conservative, they’re less than pleased, though the prospect of a break from school goes some way to placating them. They are also pleased to discover that their new home backs onto the railway line, and Bobby suggests that they ask the train to ‘take their love to father’ in London. The children soon become friends with various inhabitants of the local village, particularly Albert Perks (Cribbens), the station master, and The Old Gentlemen, who helps them to clear their father’s name. Based on the classic by Edith Nesbit, the Railway Children suffers slightly from book to film syndrome; its episodic quality is definitely chapter based. But there are plenty of exciting incidents; the children prevent a terrible accident and save an injured boy, as well as adopting a political prisoner. Some might see their adventures as a bit old-fashioned and twee, but others will relish in the freedom and independence that the children enjoy; they are basically left to their own devices from morning to night, with their busy mother desperately trying to earn some extra cash by writing children’s stories. It’s this blend of old-fashioned and very modern that makes Nesbit such an interesting writer, and which gives contemporary resonance to the film (she was, among other things, a follower of William Morris, co-founder of the Fabian Society and, due to her husband’s general fecklessness, wrote to supplement the family income). The Railway Children has regularly and deservedly appeared in top 100 lists and this spanking new blu-ray restoration is long overdue. I hope it finds a new generation of fans.